StratEdge uses several unique processes to build its ceramic packages. These depart radically from other ceramic package manufacturers, but provide substantial improvements in electrical performance of the final product. Most companies use green tape, co-fired ceramic packages for microwave applications. This limits performance, especially at the higher frequencies, because green tape has inconsistent shrinkage when it is fired. StratEdge uses hardened, or post-fired, ceramic that does not shrink, resulting in complete dimensional stability and precise mechanical tolerances. 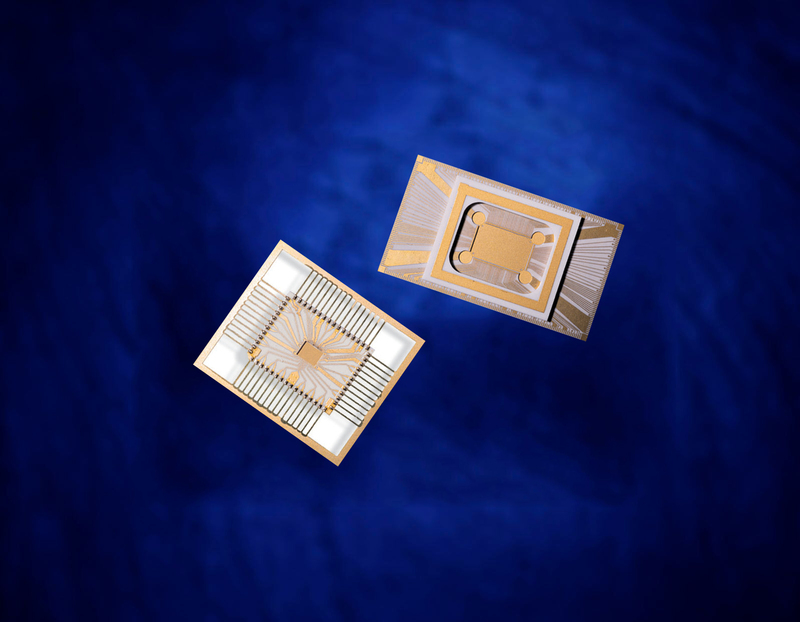 StratEdge then mates these ceramics with its patented electrical transition designs to manufacture semiconductor packages with exceptionally low electrical losses, even at frequencies as high as 50 GHz. StratEdge also uses a molded ceramic/glass technology to manufacture a series of Ceramic QFNs packages. These packages provide an inexpensive and short lead time alternative to conventional ceramic package technology, particularly for new applications with less than 1 million pieces per year.